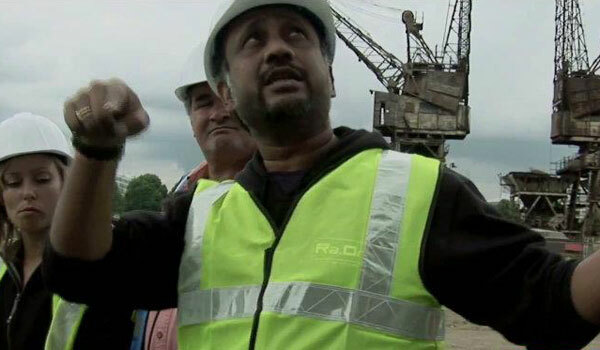 Anubhav Sinha Gives Us the Exclusive Scoop on all things Ra.One! 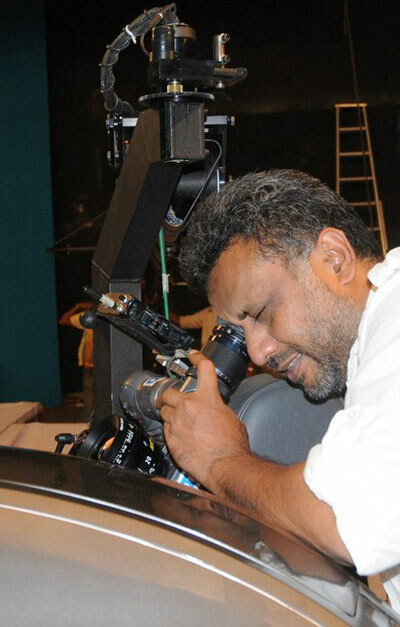 He is at the helm of one of the most ambitious and most expensive films in Hindi Cinema, with a cast of huge stars, out of this world special effects, and a crew that numbers in the thousands. We are, of course, talking about Anubhav Sinha, and need we say, the highly anticipated film Ra.One, which stars Shah Rukh Khan, Kareena Kapoor and Arjun Rampal. The director is getting ready to present his epic “sci-fi, comedy, romance, father-son relationship, superhero, good over evil fight to save the world” film to the world on October 26th. I got the exclusive chance to chat with the director and he passionately talked about the making of Ra.One and gave us some fabulous insight into working with Shah Rukh (the producer and star), what it is like to direct for green screen and what he thinks is the best thing about the film….., which is everything! Tell us how Ra.One came about. I was watching a commercial and I don’t even remember what commercial it was, but it was a commercial with two kids controlling a human being with a remote and I found it very fascinating. It stayed with me – that visual stayed with me for some time. In the next three to four days I ended up writing a short story on it, which was 3-3 ½ pages and that looked meaty enough to become a film. I knew Mr. Shah Rukh Khan was interested in gaming and new age films and high tech films, so I messaged him and he messaged me back, and in about seven days we were sitting and discussing the story. I narrated the story to him and when I finished he said, ‘When do you want to shoot it?’ and I said ‘Two years from now’ (Laughs), because I knew it would take a lot of time to write and produce it. It didn’t take two years; it actually ended up taking us four years because I was making a movie at that time and Shah Rukh was making a movie. We met and had the discussion in 2005 August, but we started shooting in 2009 March. How long was the pre-production for such a massive undertaking? Actually all the serious work, when we started inviting other team members and engaging them, that process started in November 2007, right after the release of Om Shanti Om. So with all that it took us about a year and a half to start shooting. What is it like working with Shah Rukh Khan, the producer, and also Shah Rukh Khan, the actor? I actually valued Shah Rukh the producer more because I knew he was the only producer who could easily get me Shah Rukh the star. (Laughs) Strategically speaking I went and spoke to Shah Rukh the producer and he was kind enough to get me Shah Rukh the star. He is fascinating to work with but more than both these roles that he dons, I enjoy knowing him as a human being. He’s a fantastic human being. There’s so much to learn from him and that is what I value the most actually. Tell us about working with Arjun Rampal and how he came on board to play the villain role. I’ve known Arjun for a very long time, I’ve known him for 7-8 years…maybe more. 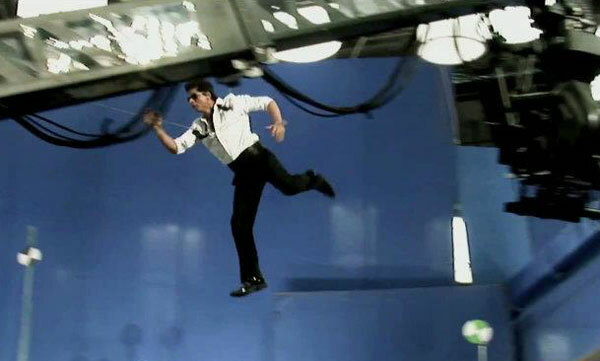 Shah Rukh was the one I did not know before we started working on Ra.One. You know when we started working on Ra.One there was a very, very big amount of excitement and anticipation because people who knew us, knew that we were on to something really exciting and new. People were always more than willing to lend us their support, help and participation. When we proposed the parts to Arjun he was more than willing, too; he liked the part a lot, it was the ‘title role’ as they say in Bollywood and also because he was a friend of Shah Rukh and mine both, and he wanted to be a part of this movie. Not only Arjun, but all the other actors, every other participant of the film was actually more than willing to be part of this movie. Yes that was the most exciting and challenging part of it, to break new ground and I am happy there are so many collaborators who helped me do that. You must have a massive team because not only do you have the regular film, but then you have the stunts, the special effect, so much. How did you get it all together? Actually, when I started making this film, I knew I was going to need a whole lot of talent and participation of that talent. I went to LA and sought my friends’ help to set up the whole unit together. It was all a chain reaction that you found one person who connected you to the next one and slowly and surely we had the entire team in place. Actually just today when I was discussing the end credits of the film with my AD, I was told the numbers are going to run into at least 2 to 3 thousand! Yeah, it’s pretty amazing. The other day we were working at visual effects and Shah Rukh called and asked if he could stop by. There were a large number of people working upstairs and we were in the basement just hanging out and when he began to leave I said, ‘The team would love to meet you. So why don’t you go upstairs and meet them all.’ It was 3:30 in the morning but Shah Rukh went upstairs and he was mobbed in his own office! After he left there he called me and said, ‘It’s such a wonderful thing to see so many people, people I have never met before, people I may never meet again, but they are working so hard for a film you and I dreamt of five years back’. It’s actually a very amazing feeling to see everyone going out of their way, and going the extra mile to make the film more special. Okay so I have to ask: How do you direct somebody who is hanging on a wire in front of a green screen? What about working with Kareena Kapoor? Kareena… I always compare working with her to this similar experience I had working with Om Puri. I was shooting a television show with Om Puri and for the first two days it looked like he was not concentrating and that he was not interested. I even said that to him, and he said, ‘No Anubhav I love it! I love working with you’ and all of that. Then I saw the rushes in the editing room and I saw his performance and I was like ‘Wow man, he’s so good. He’s so effortless that I did not even realize that on set’. The next day I went to him and apologized and he said, ‘Yeah man, I was wondering because I am really enjoying the process.’ Same happened with Kareena. She’s so NOT showing that she’s making an effort to understand the character, or the complexities of it, but she does it very instinctively and when you go see the rushes in the editing room you say, ‘Wow this is exactly the expression that was right for the moment.’ I love her in the film! I love her as an actress! I guess if you put a gun to my head I would say ‘Dildaara’, the ‘Stand by Me’ song. But I mean I love them all. Of course I love them all. When you were writing the script did you see everything you wanted to happen with the special effects and did it come true in the end? Yes and more, for sure more. I was not a very visual effects literate man because at the start of the movie I had not worked on a big visual effects film before. Now it’s taken me to another level of imagination. I must say that the visual effects team not only performed to what was required but far beyond. After the shooting was complete it became a very, very seriously exhausting process wherein they would present to me something that I had asked for, and then I would say something more to it, and they would add even something more to it, and then we kept contributing to it and took it to another level. The visual effects are just so fascinating. I’m so thankful to the VFX team for that. Hardest thing about making this film? The hardest thing about making this film was to keep the patience and never lose it, because there are so many people involved with the film, so many people ask questions and more often than not the result will not be delivered then and there. You end up doing the most difficult shot, but against green screen and you won’t even know what it’s going to look like and you have to then wait for it to become what you thought it would be. To keep the patience was the most difficult thing over this period of time, which was very long. And keep the energy too, I imagine. Yes, that patience wouldn’t come without the energy because if you do not continue to believe in it with all your energy you will not have the patience. You start to lose it. So that was the most difficult part of it. Looking back over the whole process, are you now thinking I was crazy to do this, or this was the best, or is it both? No; most of the path breaking or groundbreaking or whatever you may call it ideas are crazy at the beginning. They have to be crazy, because if they are not crazy then they are above the ground. So yes, that is why I am exhausted but yes, the best. So how long will you sleep once you get past October 26th because I know you have not been getting much sleep lately have you? What are the audiences going to love? I have to say everything because that’s what I believe. I believed that when I okayed every song of the album. I was hoping that they would love each and every song and that is what I am seeing. I’m not watching TV these days, but I am on the net a lot of time and I see that they are loving most of the songs so that’s really heartening. And if that percentage of liking the elements comes through in the film, trust me we’ve got it! We’ve got a blockbuster on our hands! (Laughs). I would like to thank Mr. Sinha for taking the time out of his very busy schedule to chat with me! From what I have seen so far it looks like seeing Ra.One is going to be an incredible night at the movies and I cannot wait. Ra.One hits cinemas in both 2 and 3D worldwide on October 26th! See you at the cinema! Be sure to stay tuned because we will have special reports from the premieres in both Toronto and London and if we are very lucky some other special interviews as well! 16 queries in 1.315 seconds.